Seems to be that time of the year again for gathering pallets. 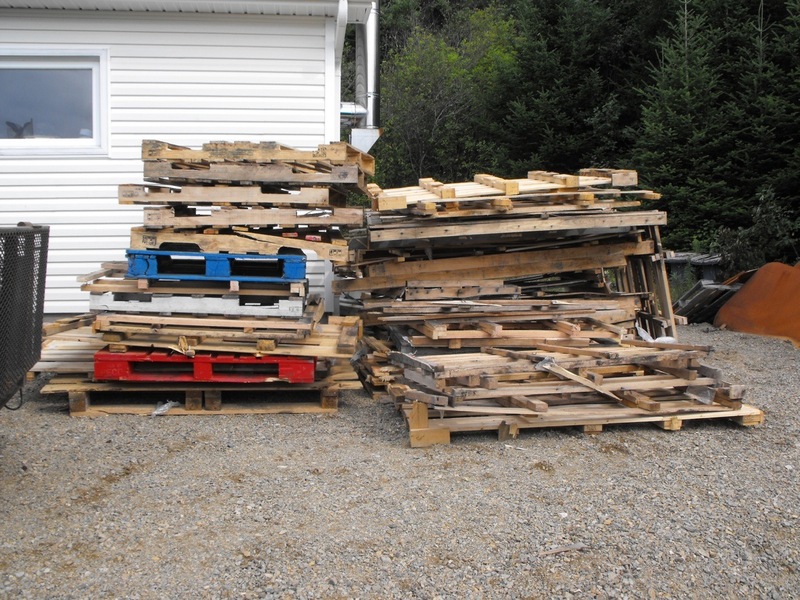 There are a number of local places that discard of pallets outside of their place of business. They are only too happy for you to come along and take them away, but you should always ask first. Yesterday I made a trip into town for the sole purpose of picking up some pallets. Special thanks to Eastern Nova Engine Repair. That trailer I have is 5 x 10 ft on the deck, looks large standing next to it but in the photo it looks like a toy next to the truck. 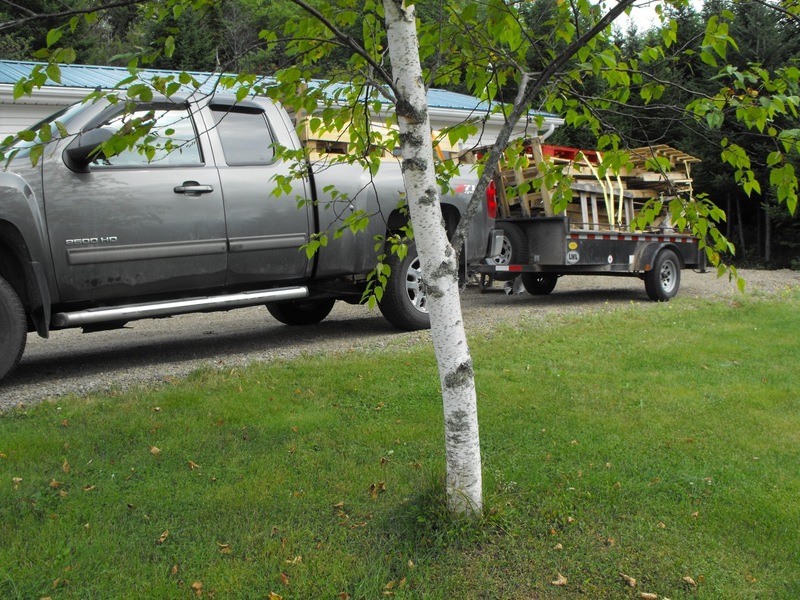 I bought that trailer a couple years ago from a heavy equipment dealer in Stellarton for LWL Trailers. The trailers are manufactured in Prince Edward Island. That’s one of the main reasons I bought the trailer. Plus the fact its all steel and welded, no rivets here… just solid construction. 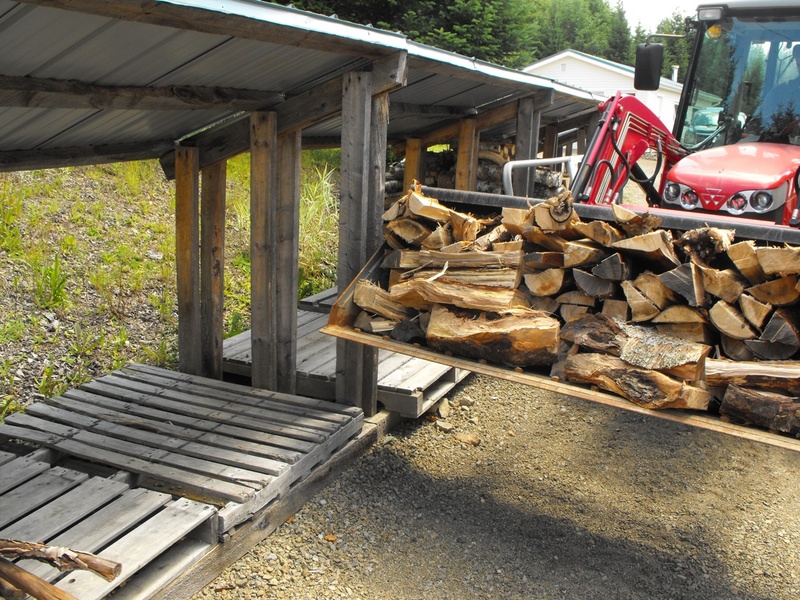 The goal of this pallet collection is to make some cribs to store split firewood. A 40×48 inch pallet can hold about 1/2 cord when used with spare lengths of lumber to make a “cube”. The spare lengths will come from the remaining pallets. What’s left over will be used for splits for starting fires in the winter. Its a good haul, but I’ll probably have to go for one more gathering of pallets to get enough to store the 8-9 cords remaining to be blocked and split. Making the most of pallets.